With less than four weeks until Americans head to the polls to choose our 45th president, it's the Tri-State's last chance to register to participate in the Nov. 8 election. 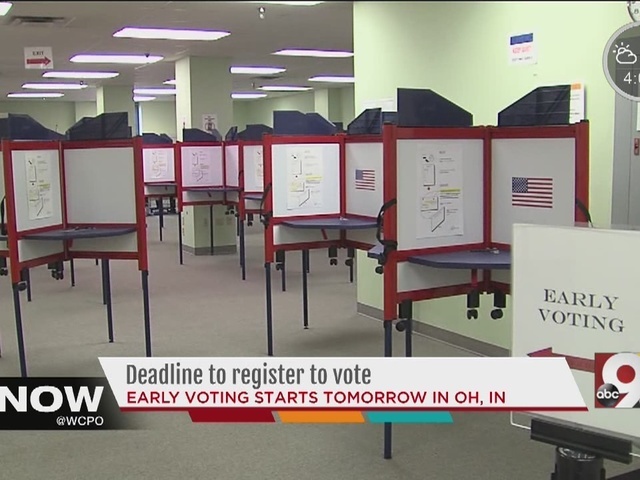 Visit wcpo.com/vote for everything you need to know on November's election, including your registration status, where to vote, sample ballots, a contact form if you have voting issues and WCPO's latest election coverage. In Ohio and Kentucky, voters must go online (see links below) to print a voter registration form and mail it in or drop it off at a local board of elections office. Forms are also available at libraries and board of election offices. 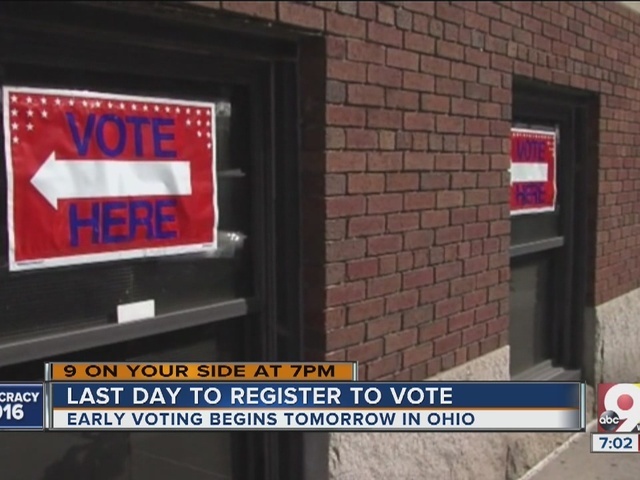 Ohio voters: Check your registration status here . 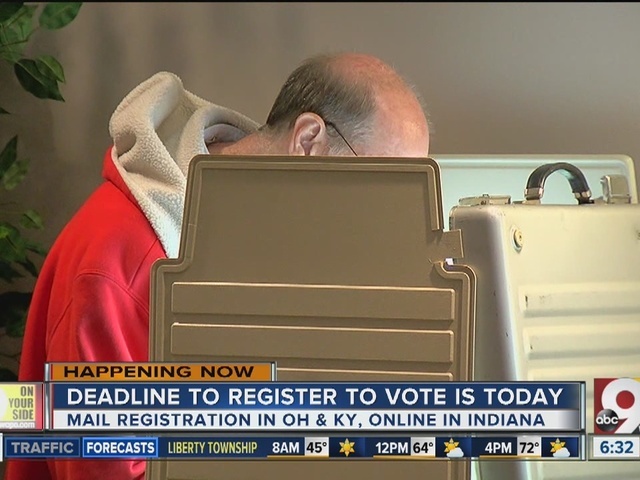 Kentucky voters: Check your registration status here . In Indiana, voters can simply register online here . The deadline for this election was before noon Tuesday. Roughly 26,000 voters have registered in Hamilton County since the March primaries. Even if you're voting absentee, you still have to register by the deadline. How long do you have to choose whether you'll vote at the polls or send in an absentee vote? Hoosiers must request an absentee ballot by Oct. 31. Kentuckians have until Nov. 1, and Buckeyes can wait until Nov. 5 (although we recommend not waiting until the last minute).